GMO proposes a portfolio model whose glide path might look nonsensical, but which may help retirees minimize the risk of running out of money. GMO argues that Modern Portfolio Theory takes the wrong approch to retirement income planning. In a bold attempt to reframe retirement investing, investment firm GMO proposes a new model for portfolio management whose glide path might potentially look “nonsensical,” its authors admit, but which may help retirees minimize the risk of running out of money. The white paper, written by GMO’s Ben Inker and Martin Tarlie, focuses on two problems in current thinking about retirement portfolios. First is the assumption held by Modern Portfolio Theory that an investor should seek to maximize return for a given level of risk. Inker and Tarlie argue that retirement investors particularly are disserved by such an approach because it asks the wrong question, focusing on returns though an investor’s interest is in having a target level of wealth at a predefined period of time. The goal of retirement planning, they write, is “not to put investors into yachts” but to make sure they have enough to live an acceptable lifestyle in retirement. The authors reject the contemporary emphasis on risk profiling; rather, they suggest it is the investor’s circumstances rather than personality that should dictate the kind of portfolio that is needed. The long time horizon of a younger investor requires more aggressive investing, while the inability to recover from portfolio losses requires a retired investor to invest conservatively. “Putting the more risk-averse individual in a less volatile portfolio … without making any compensating savings or consumption adjustments, actually increases the wealth risk to that individual in that he is less likely to achieve his wealth needs,” Inker and Tarlie write. So a young investor who can’t handle volatility may need to regularly save 10% of his paycheck, compared to someone of ordinary risk tolerance for whom a 5% savings rate would enable a more volatile stock-heavy portfolio. Based on standard return and volatility assumptions, Inker and Tarlie generate a theoretically optimal weight in stocks for each age that addresses the imperative of minimizing a shortfall in wealth. But readers needn’t hasten to check the table, because its static view hits a second major problematic assumption of contemporary portfolio management the GMO authors address — namely, the false idea that expected returns are constant over time. 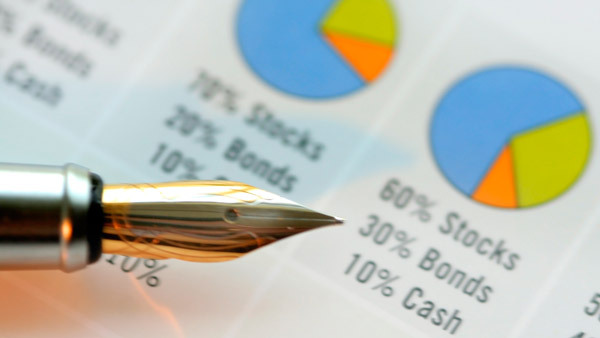 “If you happen to be lucky enough to have lived and saved during the right period when asset returns were high, it doesn’t much matter what your target date allocations were,” the authors write. But unlucky investors who face a poor sequence of returns upon retirement face a rapid depletion of their portfolios. So what’s an investor to do? The answer — to dynamically shift assets in response to market valuations — goes against the grain of buy-and-hold oriented advisors, but it is based on an interesting insight about the predictability of stock returns. In other words, the correlation between valuation and subsequent market return rises over longer stretches of time — only 20% at current valuations but 70% after 20 years. “Given that the retirement savings problem is a 70-year problem, it is an ideal environment to take advantage of the long-term return predictability that comes from valuations,” Inker and Tarlie write. So, for example, in 1965, when valuations were very high, a 55-year-old investor who remained on autopilot would face a wipeout before his retirement. Here is where the authors propose a dynamic glide path that looks “nonsensical” at first glance. Their model shows a 0% weight in stocks in 1965, but a 90% weight in 1974 (when the investor was 64), remaining at high levels into the early 1980s for the now septuagenarian investor. “If the goal is minimizing expected shortfall of wealth in retirement, it can make sense to run an aggressive portfolio in retirement if the increase in expected returns is high enough. Furthermore, if the expected return to stocks is actually lower than bonds due to high valuations, such as was the case in 1965, it is hard to see why owning stocks would help at all. The GMO authors’ hypothetical investor “unlucky” enough to be 55 in 1965 would have run out of money in the static strategy but would have enjoyed a 30-year retirement at high consumption under the dynamic approach. Inker and Tarlie acknowledge that stocks mean-revert slowly and that it wasn’t until the early 1980s that stocks really recovered from the 1973-74 bear market (meaning that the benefits of the dynamic strategy relative to the static one didn’t kick in for many years). Still, through a variety of simulations they find that their dynamic asset allocation can reduce the chances of lifetime ruin from 50% to 13%, and on the upside, leave more wealth for the investor at the end of his 30-year retirement. While wealth accumulation is generally straightforward, it is the decumulation phase where the risk of ruin is “disturbingly high,” Inker and Tarlie write. They stress that decisions made in a portfolio during retirement are just as important, if not more so, than those made while the investor is working. The GMO authors conclude that “valuation-aware” portfolios can help solve some of the crucial difficulties that post-retirement portfolios face, minimizing the probability of shortfall and extending the portfolio’s durability.